The Syrian chapter of the International Association of Facilitators (IAF) was established in 2017. Our objective is to promote a network and community of practice of facilitators, and to raise the quality standards of group facilitation in our country. 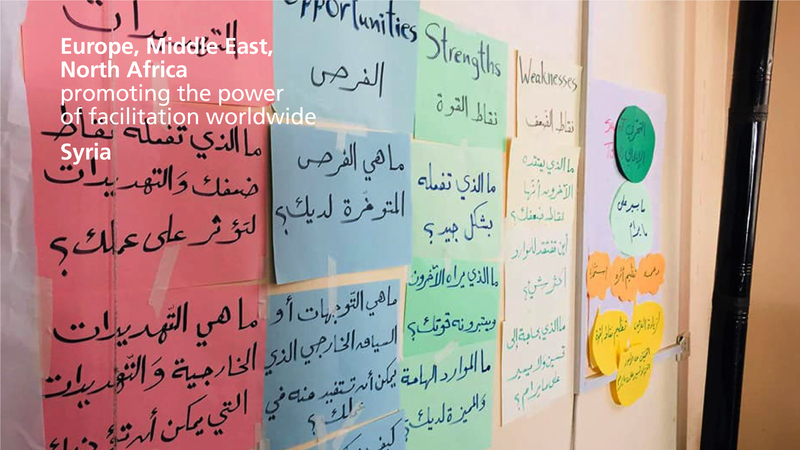 The chapter is the natural follow up of a network of facilitators which was founded in 2010 in Syria with more than 75 facilitators from all around the country. 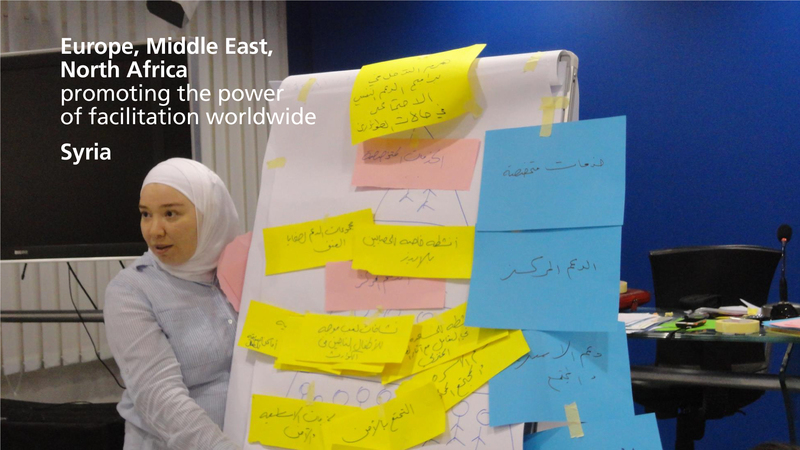 The Syrian chapter promotes the growth of the Syrian facilitators community and linking the Syrian facilitators to the worldwide community of facilitators and other IAF members. 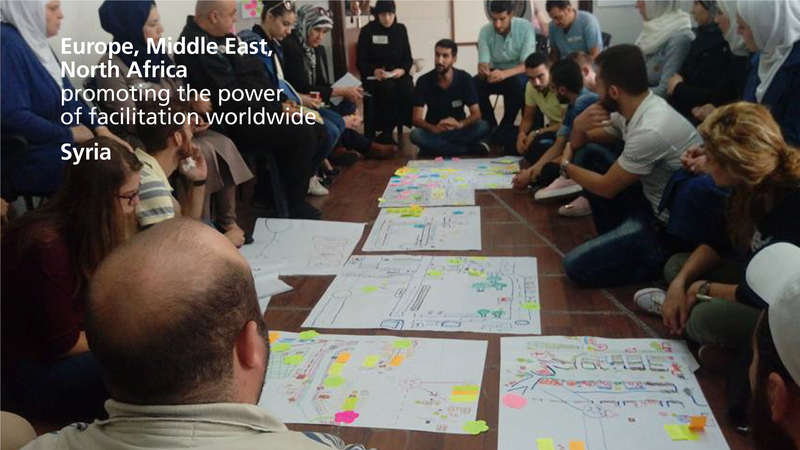 Among other activities, the chapter convene regular, free face-to-face facilitation meetups for IAF-Syria facilitators and friends, as well capacity building and exchange experiences in between the facilitators. We also plan to schedule a full introduction day of the IAF-Syria, CPF assessments and facilitation awareness sessions. We work to schedule a CPF assessment event in the region each year, next time end of 2018. Everyone with an interest in group process facilitation is welcome, including facilitators and others who use or commission facilitation, IAF members and non-members alike. Please join us.